I was lucky to be granted to take pictures of a group of family (and their friends) preparing for the procession. 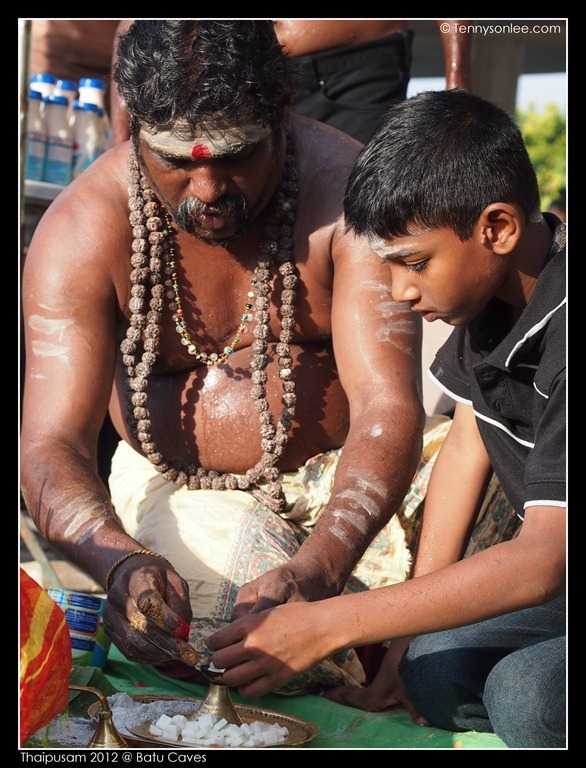 The swami (Hindu priest) started off with the blessing to the kavadis. Background hill was Batu Caves. The sky was still dark. 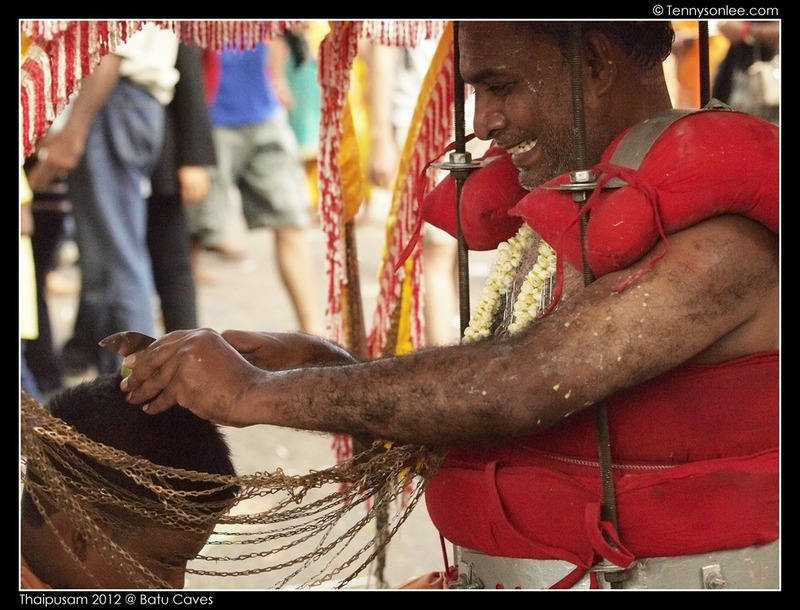 Blessing was given to the devotees who will be carrying the kavadi or milk pots. I was allowed to approach the family in close distance so I could even see the powder. I was also blessed with red and white powders couple of times today, even my camera has the ashes / powder. Other devotees were allowed to approach the ‘deity’ to receive blessings. 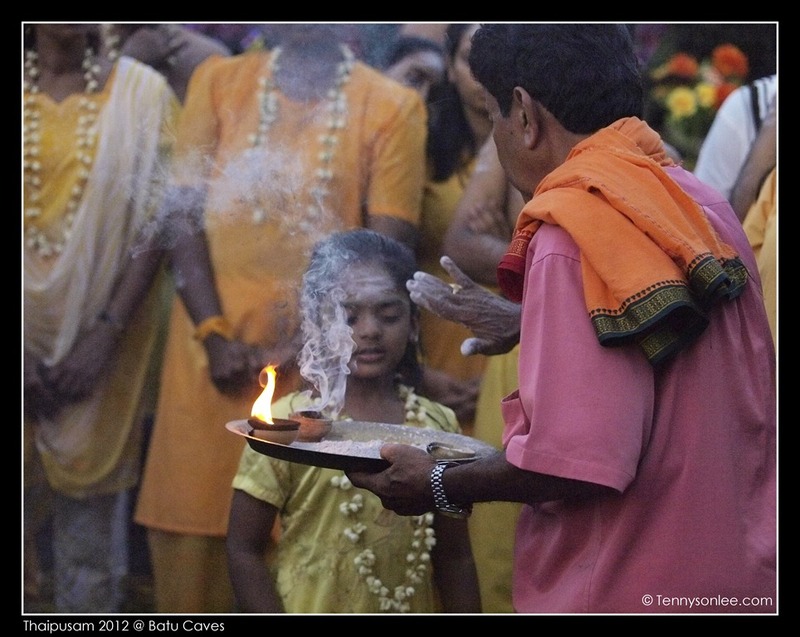 Today was my first time seeing the devotee in trance chopping a lime on top of the child’s head. The following picture was taken yesterday of another family, father and son. Indian family is well known for close family ties. I really have to thank those devotees who welcome tourists to join their festive celebration. This entry was posted on February 7, 2012 by Tennyson. 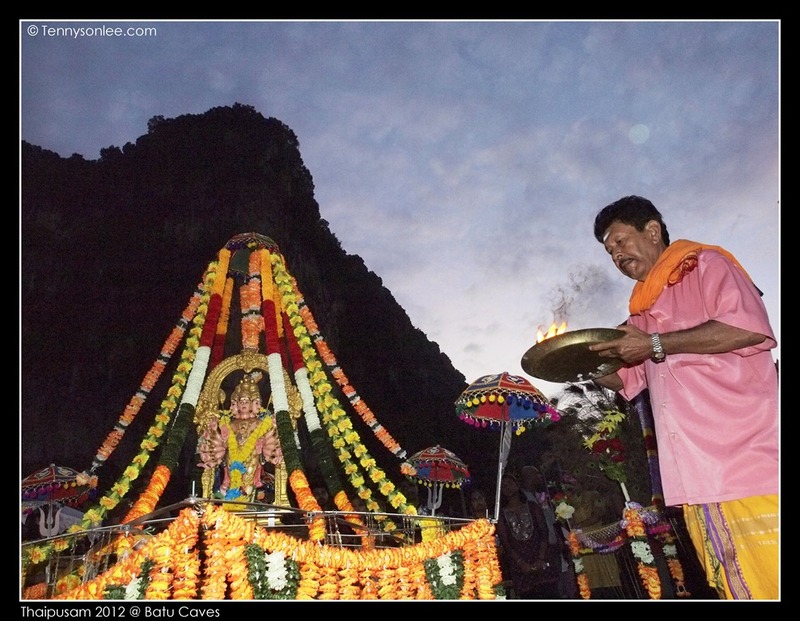 It was filed under Malaysia, Places, Selangor and was tagged with Batu Caves, blessings, Thaipusam.